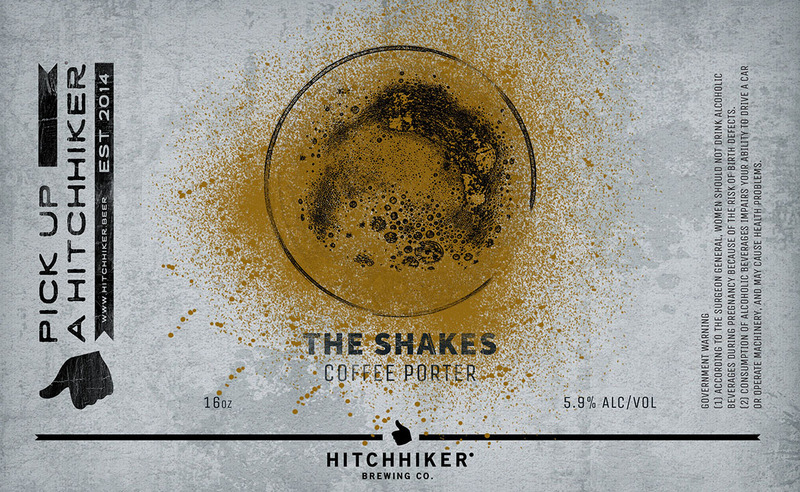 The Shakes | Hitchhiker Brewing Co. Brewed with oats, crystal, and chocolate malts. Conditioned on organic free trade Ethiopia Yirgacheffe coffee beans from our friends at Coffee 19. Notes of coffee, dark chocolate, blueberry, and pecan.